Exchange 2016 and Office 365 have been added as possible source servers thanks to the new functionality: connecting to the source server via EWS (Exchange Web Services). Up until this update, EWS (introduced by Microsoft to substitute MAPI in the newer server versions) was used to access target servers only. Now, the software can connect via EWS also to the source server. Migrating between different Office 365 tenants is not supported natively. 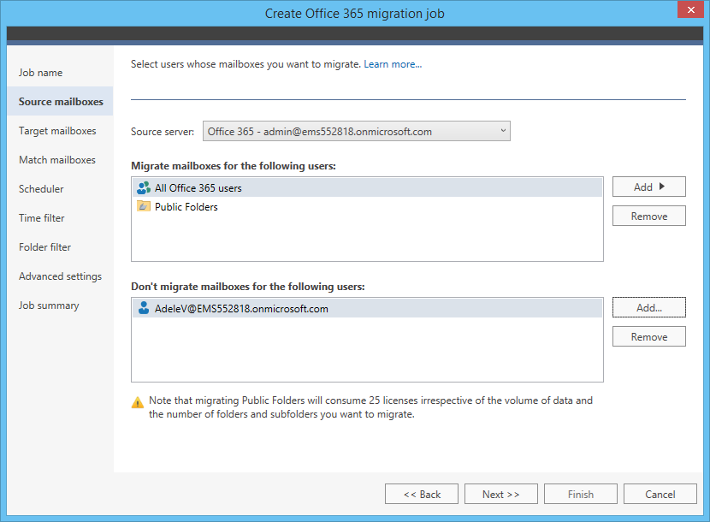 CodeTwo Office 365 Migration supports data transfer from one tenant to another. The software can be used either to create a multi-tenant Office 365 environment or to combine different tenants into a single organization. With our tool, you can migrate all items: emails, calendars, tasks, and contacts. You can also specify the folder types you want to move and which to exclude from the process. The process of configuring a new job from this source is as simple as with other scenarios. 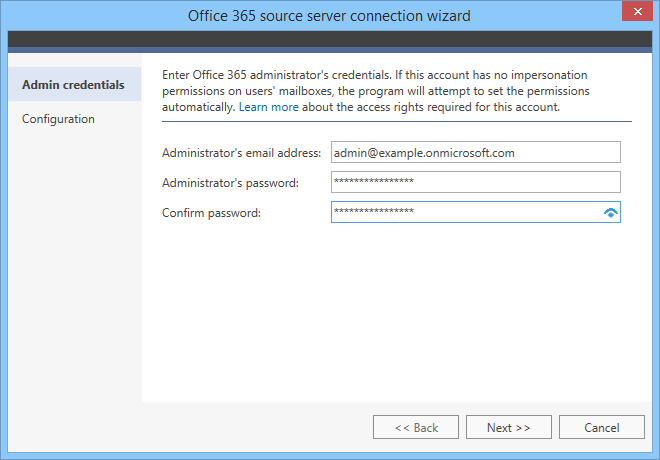 The wizard, which connects our software to a source Office 365 server, requires you to input global administrator credentials. After that, you can set your migration job by matching mailboxes, scheduling the migration, setting time and folder filters, all using the same simple job creation wizard which is used in other scenarios. With the rising popularity of Office 365, it is no wonder that most people migrate to the cloud. However, there are situations in which companies decide that either all or some mailboxes with highly sensitive data should remain on the local server. Unfortunately, Microsoft Exchange Server Deployment Assistant – a native tool designed to help admins with migrations – does not predict such a scenario. 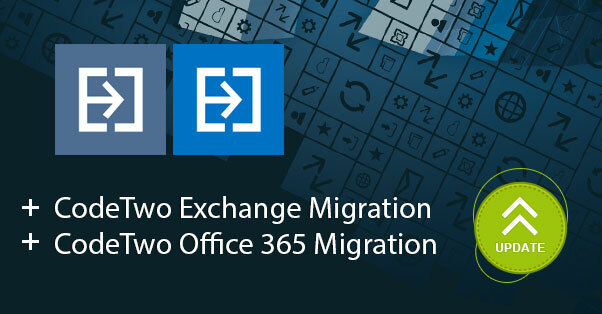 With the most recent update, CodeTwo Exchange Migration fills the gap by supporting data transfer from Office 365 to on-premises Exchange 2010, 2013 and 2016 servers. One of the most important aspects of the migration is how quickly it goes. The new functionality allows setting a size limit for migrated items. Thanks to that, you can either exclude items with sizable attachments completely or leave their migration for later. 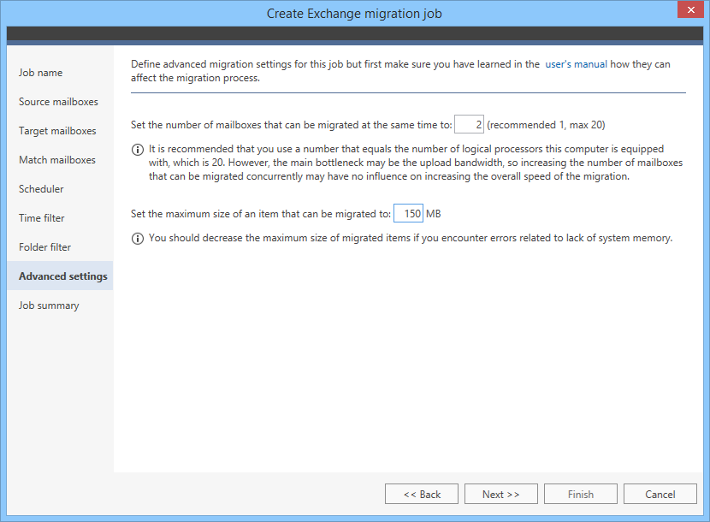 This option gives you a chance to prioritize your migration even more precisely. This feature is especially useful when migrating from an on-premises Exchange Server to Office 365. Exchange Online has a maximum item size limit of 150 MB. Migrating large items is fully supported by the software, but now you can choose to save their relocation for later or choose a different storage option, so that target mailboxes are not overly burdened. Currently, more people migrate to Exchange Server 2016 and not from it. However, there are situations in which an easy and quick migration from Exchange 2016 to another on-premises organization or to Office 365 might be required. Now, our migration tools support such scenarios. Now, cross-forest and cross-domain migrations from the latest on-premises Exchange are supported, so that e.g. reorganizing after a merger can be finished quickly and easily. What else is in the new version? Apart from those brand new features, the updated version fixes a few minor issues. Now, the tool is fully versatile, as even migrations to earlier Exchange versions are supported (i.e. Exchange 2013 to 2010 or Exchange 2016 to 2013).